If this is your first time selling a residential property, then you should get help. Professionals can make sure that you’re getting the type of returns on this investment that you need and deserve. Following are a few tips for negotiating the sale of a home for all property owners. At the very start of this process, make sure to align yourself with a reputable agent. This realtor should be someone who is only responsible for handling a small, manageable territory. 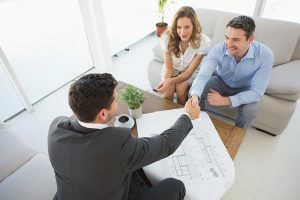 This way, he or she will have a unique understanding of the neighborhood and a better ability to advocate for you when encouraging buyers to remit your asking price. Make sure that you have plenty of sales data on hand when entering into negotiations. You and your agent should diligently research the market even before setting a price. Look for comparable homes that have recently sold within the area and then adjust your price according to any differences in home features, amenities and age. Keep in mind that you may need to make a few price adjustments and concessions based on the findings of the home inspection report that a prospective buyer has secured. If there are issues that need to be repaired, for instance, think about dropping your price about the cost of the necessary repairs. This move is more time-efficient than attempting to handle these projects ahead of closing. If you are working with a short sale company or an all-cash buyer, go ahead and take the time you need to mull your decision over. These investors will be willing to take your house as it is. As such, you won’t have to pay for any significant upgrades or repairs, and you can reach the closing table within a nominal amount of time. Depending upon your financial situation, these benefits might outweigh the advantage of a more traditional sales process.